Evans, Thomas A. “An Estimate of the Accuracy of Hedonic Real Estate Valuations Using the Orange County Bankruptcy,” October 2012, 703-20. Evans, Thomas A. and Paul B. Lewis. 2009. "Bankruptcy Reform and the Foreclosure Crisis," Banking and Financial Services Policy Report 28(1). Evans, Thomas A. and Paul B. Lewis. 2008. “An Empirical Analysis of the 2005 Bankruptcy Reforms,” Emory Bankruptcy Developments Journal 24(2): 327-60. Evans, Thomas A. 2007. "An Empirical Test of Why Incumbents Adopt Campaign Spending Limits,"
Evans, Thomas A. 2006. "The Different Effects of Discretionary Federal Spending on Parliamentary Elections,"
Evans, Thomas A. 2005. "The Impact of Representation per Capita on the Distribution of Federal Spending and Income Taxes,"Canadian Journal of Political Science (2): 263-85. I have two main objective when teaching: 1) For students to gain a solid foundation in the technical principles; 2) To improve students’ ability to apply in a wide range of situations. Making the course interesting helps in both regards. Depending on the course, I assign homework, hold quizzes, and hold a final exam to encourage each individual to master the foundational material. In class I introduce current topics for discussion from newspapers, business magazines, politics, current events, academic research and case studies. I guide the discussion from students’ initial reactions, to an application of economic models, to a final conclusion. At the end of the discussion I provide empirical evidence to demonstrate the accuracy and limits of the models. I have recently been influenced by ‘make it stick,’ a book that pulls together a wide range of academic material related to the ways that human beings learn. A fundamental finding is that recall and usage of new material, as opposed to listening and reading, is necessary for learning and mastery. Based on these findings I am including more in-class problems, discussions, group exercises and testing. 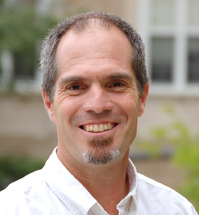 Tom currently serves as the Director of Undergraduate Studies for the department of Policy Analysis and Management.